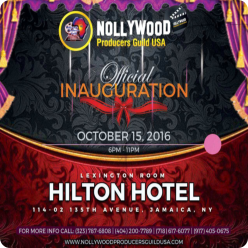 Nollywood the ongoing worldwide phenomena in entertainment is only about two decades old but everyone seems to be in on the frenzy. Milking, sucking, and grabbing all they can to their own advantage. It is great to see a concept or industry out of Nigeria giving opportunities and benefiting many people including Nigerians and non-Nigerians around the world. However, there is the concern that all these beneficiaries of Nollywood seem to almost ignore an indispensable group behind the success of Nollywood – the filmmakers or producers. The question is – how many of these beneficiaries really care about the welfare and progress of the producers/filmmakers who struggle to raise hard earned monies and dish out the time required to put together these films that continue to drive the Nollywood phenomena? Televison outlets and Cinema companies are thriving on the broadcast and showing of Nollywood movies. Websites, blogs, newspapers, magazines, and other tabloids and media outlets now devote substantial time and space to racy news and gossips that come out of Nollywood in order to draw attention, get more hits, increase their ratings, or get more sales even when such racy news turn out to be false or partially incorrect. Businesses, promoters, managers and organizations are springing up here and there with the objective of organizing Nollywood related events that will attract Nollywood fans who are eager to pay ticket fees just to meet their favorite Nollywood actors. 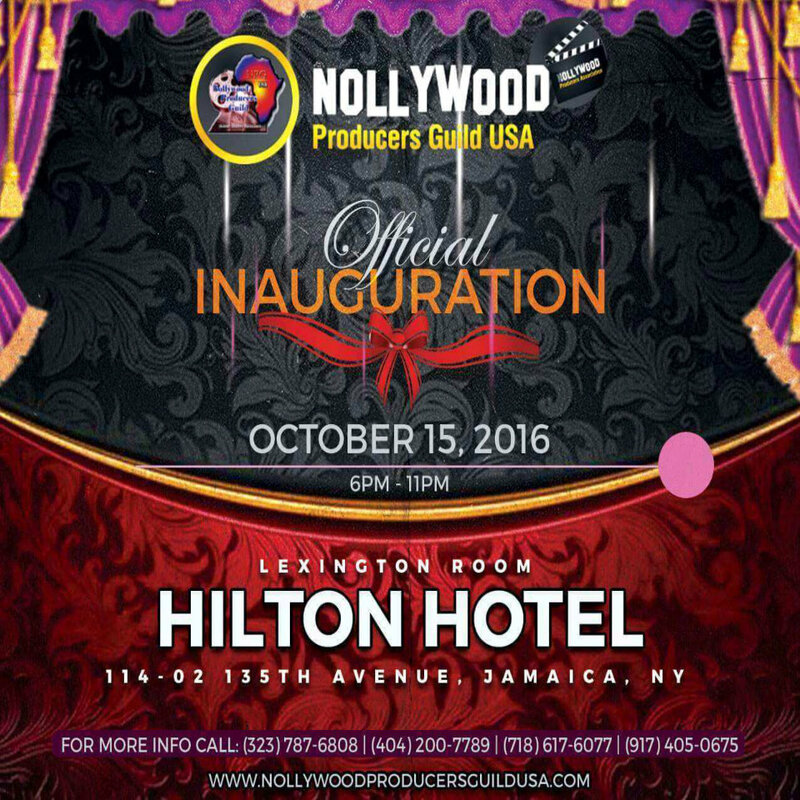 In some cases such Nollywood names and faces used to sell tickets and promote such events never show up at such events. Some who have no idea about filmmaking take up the title of managers, promoters, or talent agencies and enlist the following of young aspiring actors giving them hopes and non-assured promises of jobs or roles in Nollywood films and productions instead of providing these young boys and girls with candid realistic education and training needed to deal with film and entertainment industries. It is a good thing that these businesses, organizations and even individuals are growing and expanding in both their reach, popularity, and revenue while riding on the content coming out of Nollywood and Nollywood ought to be proud of such an achievement. In a struggling economy where many graduates and other able bodied men and women find it difficult to find a job to make a living, sectors like the Nollywood industry should be encouraged for providing employment to a substantial amount of the population that would otherwise be unemployed. Further praise should go to these producers for going it all on their own and creating something out of nothing without waiting for government or bank loans. And in this regard, we must always acknowledge the contributions of those initial marketers and filmmakers who took the risk and went it all alone to create what has today become one of the recent entrepreneur success stories from the African continent. We cannot afford to let this progress turn to regression. We cannot afford to continue ignoring or exploiting the producers who make the industry exist. It need be pointed out that some of the exploitation of Nollywood content are indeed an unconscious or ignorant one, while some are intentional but born out of a lack of principle and common sense of fairness. In the area of piracy, many shop owners think it is no big deal to open a movie section or a store to sell pirated Nollywood movies. They figure they can always buy “cheap” versions of these movies and sell cheaply to customers who visit their stores. When presented with original copies that are just a little higher in price, they refuse to buy. The Pirates know this and they supply these store owners with cheap pirated copies of these movies at a cheaper rate than the genuine distributor or producer would sell. Some of these pirates wrongly argue that a DVD content becomes their property once they copy and repackage them in a new cover. When confronted, some of these store owners as well as these pirates/bootleggers insist that they are trying to make a living without caring whether the producer makes a return form the film or not. It hardly occurs to them that they could put the filmmaker out of business when they deal on pirated movies, and that it could eventually affect even their own piracy business as well. Same goes for those outlets that broadcast Nollywood movies for free on the internet. Yet again, the pirates and the store-owners are further encouraged by the buyers who are eager to buy pirated copies of these films at a ridiculously cheap price instead of paying just a little more for the genuine content. Ironically, these same buyers who patronize the sellers of pirated movies are the same ones who will call and query why the film is not clear, has poor image, or lacks good acting. So, Nollywood Producers get no break. They do not get reasonable returns on sales from their movies because pirated copies and free internet broadcast are preventing viewers from putting money into the pockets of the producers. The producers manage to raise money and struggle to make more films within their resources, and they get criticized for doing movies that are not as good as Hollywood movies. On top of it all, a Nollywood movie made with an average of $50,000 (fifty thousand dollars) gets compared to a Hollywood movie made with $200,000,000 (two hundred million dollars). Pause for a moment and imagine the comparison, assessment, judgment, and expectation. It is even more ironic that some of these promoters, businesses, and organizations who benefit from Nollywood tagged events and projects do not have the proper respect for the produces who are the hob of the industry (Nollywood) from which they are benefiting. Painfully, while Nollywood producers struggle to pay their cast, equip their set, edit their movies, find distribution, fight piracy, protect their copyright, and beg for returns on the sales of their movies, everyone else is smiling to the bank with proceeds made from these movies and from Nollywood tagged events and businesses. Unfortunately, many talented and aspiring potential great filmmakers are giving up on the industry as they just cannot seem to catch a break and be able to at least recoup cost of production after they finish producing their movies. Obviously, there is a need for a reorientation of these sellers, buyers, businesses, and organizations who all thrive on Nollywood. They have to be made to imbibe the principles of respecting copyright law, intellectual property, or at least the principles of fairness. Granted, there are some folks who rode on the wave of the Nollywood phenomena and came on board as producers not really because they loved filmmaking but because they saw it as a way to make huge returns from filmmaking. Yet, there are also those folks who really got into the industry because of the love and passion for making films. Such folks who strictly see filmmaking as a business opportunity need not be blamed for making a business decision rather it must be maintained that they are entitled to the returns on their business even as we may want to separate them from those producers who are mainly motivated by the love and passion for filmmaking. Generally, it is only fair that an investor should make returns from his venture. On the other hand, the fact that a producer has immense love and passion for filmmaking does not mean such producers do not look forward to making reasonable returns form their effort. To think so would be unfair and ridiculous. Besides, even if there is such a filmmaker who does not worry about returns, he still would need good returns on one film so he could make more good or better ones. Every industry has the money drivers and talents who or manpower who supply the substance or practically work needed. All are fairly entitled to compensation. Some of those called out in this piece may not be glad about the piece while some may not be happy with the writer’s candidness but someone has to say or write about the malady. Rather than pitch a tent against this piece or the writer, consider to sincerely review your practice and come up with ways of compensating Nollywood producers or filmmakers who are the ones sweating it out and providing you with the content that has brought you popularity, revenue, and progress in many ways. If you cannot compensate these filmmakers materially, then encourage and support them to grow and get returns on their efforts as well. Whatever it is, just do what you can to help the Nollywood producer rather than join the band-wagon of exploitation. That way you would be helping yourself and your business as well because the more returns the producer or filmmaker makes, the more he would be in a position to produce even more of that which has helped you grow or progress. That way, your conscience is clear and everyone is happy, at least to some extent, and the industry will continue to thrive for all. Written By – Oliver O. Mbamara Esq. President – NPG USA Inc.